Established in 1945 by my father, George H Preston as a blacksmiths and agricultural engineers, it remains a family business to this day, however, our business has developed throughout the intervening period and continues to change as a result of the improvements brought about by listening to our customers, embracing new technology and complying with the legislation and standards for quality, health & safety and the environment. 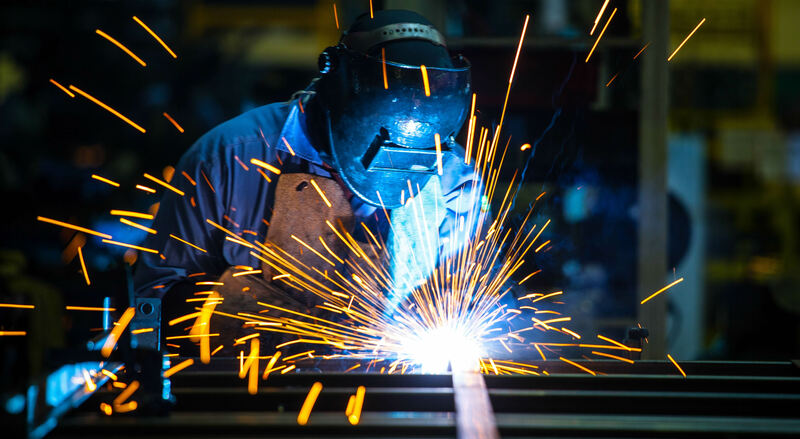 Focusing upon our expertise with specialised welding and steel fabrication we employ a significant number of coded welders, to compliment these we also employ mechanical and civil engineering personnel, this combination of skills and competencies enables the business to meet our customers needs through the provision of project management, design, manufacture, installation and maintenance services. We recognise that customers and their stakeholders place a high degree of significance upon quality, health, safety and the environment, with this in mind we endeavour to work in partnership with them by meeting the internationally recognised standards in these fields, holding certificates for Quality ISO 9001, Health and Safety ISO 18001 and the Environment ISO 14001, our goal of continual improvement in these areas being rewarded with the receipt of an “integrated management system accreditation” from BSI. Having commitment to the water, coal, gas and rail industries, we are registered with both “Achilles” & “Link-up” utility vendor data base schemes, having also successfully completed their SHEQ verification audit. Today, we are proud to say that we undertake work and projects on behalf a number of major companies that include; National Grid, North London Gas Alliance, Severn Trent Water, Tube Lines Limited, Fastline, UK Coal and SGN, in doing so we accept our responsibilities for ensuring a positive and successful working partnership, which is illustrated by their continued confidence in our ability to deliver the service and quality they demand. Our reputation has been built upon the provision of a reliable quality service, to uphold our good reputation we have adopted continuous improvement approach by monitoring our company’s performance and ensuring that our personnels skills and competencies are refreshed through training and instruction. Finally, it is one of our aims to be recognised as a company that cares about our customers, wherever possible adopting and helping with solving their problems for we are fully aware that our success is directly related to and totally dependent upon the satisfaction and success of our customers.